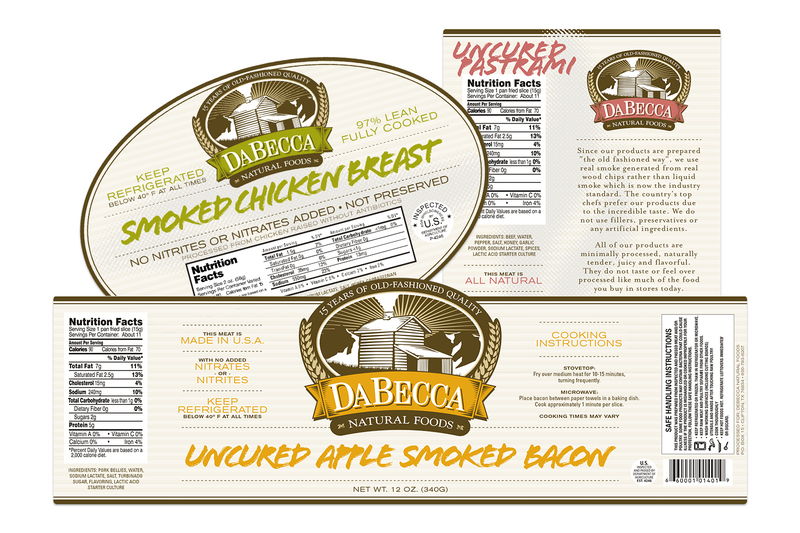 DaBecca Natural Foods makes quality meat products using traditional, old-fashioned methods. 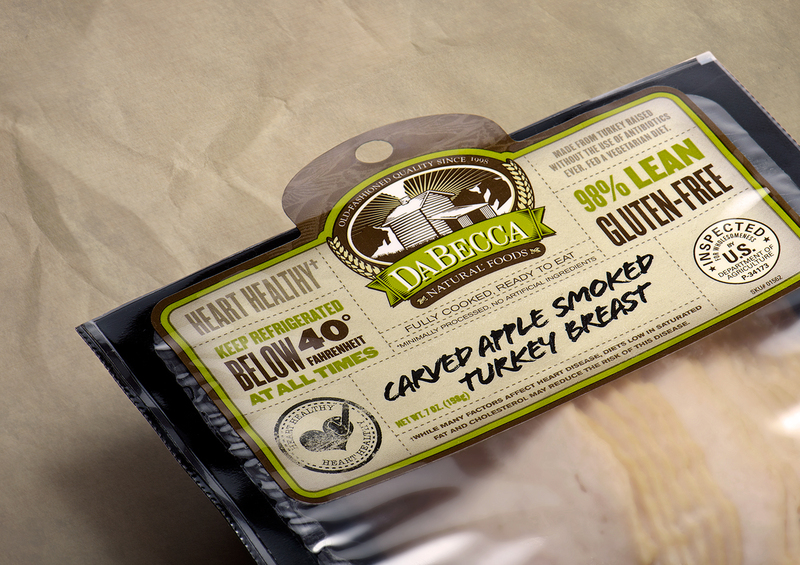 They came to Version-X to create a brand and packaging system for their product line that evoked the old-world style with a modern touch. 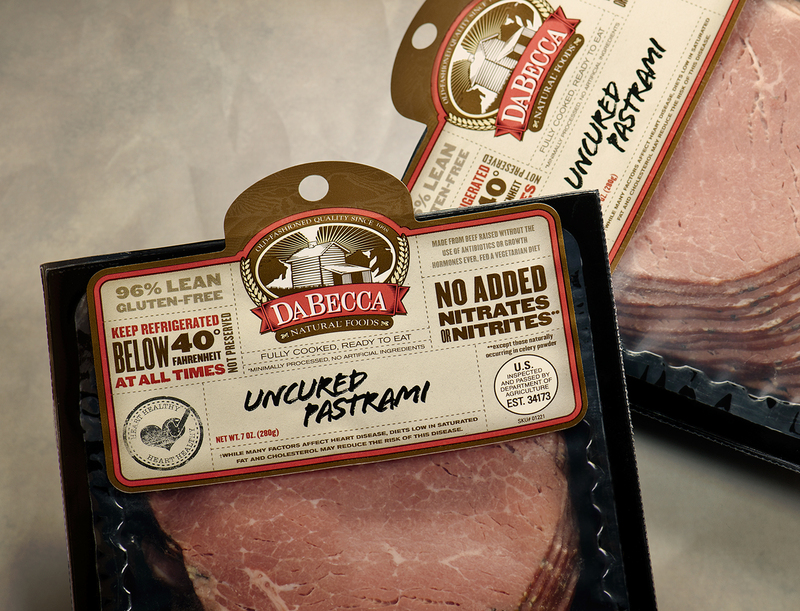 I created a logo featuring a log cabin that goes back to their company’s family story and collaborated to create a packaging system of modern colors with an old-school butcher paper feel.